​Manchester United legend Gary Neville has claimed the Red Devils should consider resting players for their clash against Man City in a bid to boost their top four hopes. After Chelsea's 2-0 defeat to Liverpool on Sunday, United find themselves just two points off both the Blues and Arsenal in fifth and fourth respectively. With a game in hand on Maurizio Sarri's side too, Neville revealed that with a busy schedule coming up in the next two weeks, United boss Ole Gunnar Solskjaer should consider resting players for the City game, so that they remain fresh for the crunch top-four clash against Chelsea just four days later. He told Sky Sports (as quoted by the ​Daily Express): "It really is a huge 10 days for ​Manchester United coming from the Barcelona game to Chelsea. "And you think about that squad and you think can the same team play every one of those matches and then you think to yourself well the manager will have to prioritise and there will be changes that have to be made. "​Barcelona tomorrow night, I’m going over there and my hope is that Ole will go for it and try and make history with this team and go and win there and do something just incredible." Neville added: "However, Sunday against Everton is the most winnable and if they win that then it’s a tough one because if they beat ​Manchester City but lose to Chelsea then they are still in a battle for the top four. "But if they lose to City but beat Chelsea, they are in the top four. In four games in 10 days you can’t play the same eleven players so my view would be that if they beat Everton on Sunday then he should rest a couple for the City game." 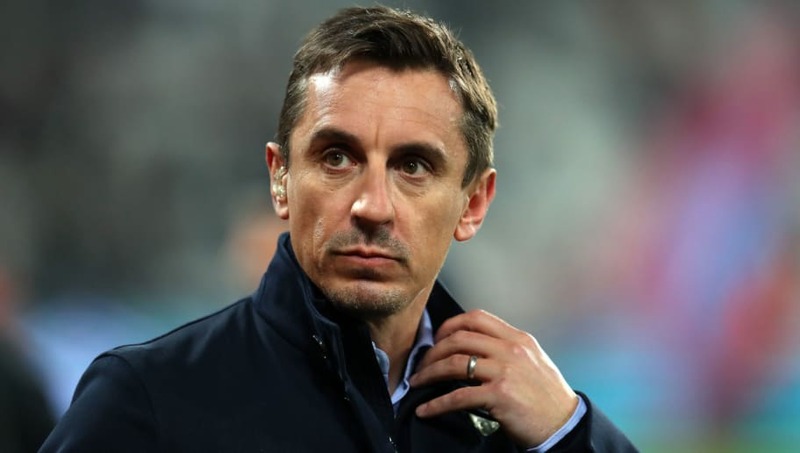 With City locked in a nail-biting fight for the ​Premier League title with ​Liverpool​, Reds fans took to social media to slam Neville for suggesting United should rest players for the derby just so the Anfield side would be denied a first league title in almost three decades. embarrassing that there even suggestion that a club as big as united should rest players against their neighbours. They shud want to put city in their place and show them they can compete over 90 mins with them. Not roll over and get done just so liverpool don’t win the league. So let me get this straight, arguably the biggest club in world football has been lowered to throwing a game against its city rivals so that its biggest football rival don’t win the league? How far have @ManUtd fallen???!!! Some fans seemed to think the ex-United star's comments just confirmed the declining status of the Red Devils, whilst others were less than happy about the lack of integrity being shown. Honestly we could play our strongest 11 against City and I still don't see up taking a point, at the moment there's too many passengers in that United Squad and a lot of them need moved on (Finally) this Summer. However, certain United supporters seemed to agree with Neville's line of thinking, and admitted that even with their best starting eleven on the pitch, they would struggle to beat City, and so it made perfect sense for Solskjaer to rotate his players around.